Are you interested in getting news about Progressive Circus directly to your mail? Do you want to help us promote our events by putting up posters, handing out flyers etc? Please contact us at info@progressivecircus.com and let us know! 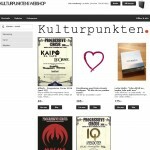 Visit Kulturpunkten’s webshop at to purchase tickets, posters, t-shirts etc! Follow Progressive Circus on Instagram! Why we mainly communicate in English? It’s because we want everone to feel included and welcome, no matter if you speak Swedish or not. We have a fair amount of non-Swedish followers online and at our events.